While some companies are racing to explode with growth in this young but booming industry, Good Chemistry Nurseries believes that careful, cultivated growth is the key to growing strong, long-term business success. 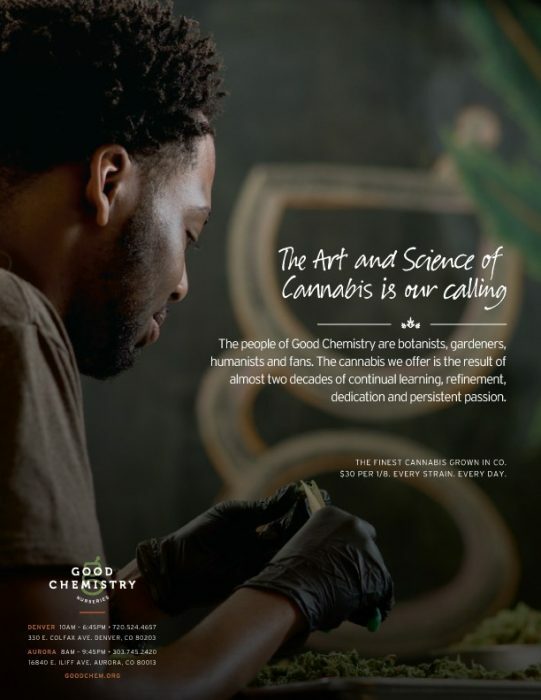 Good Chemistry is dedicated to growing the finest Cannabis available, not just growing for growth’s sake. 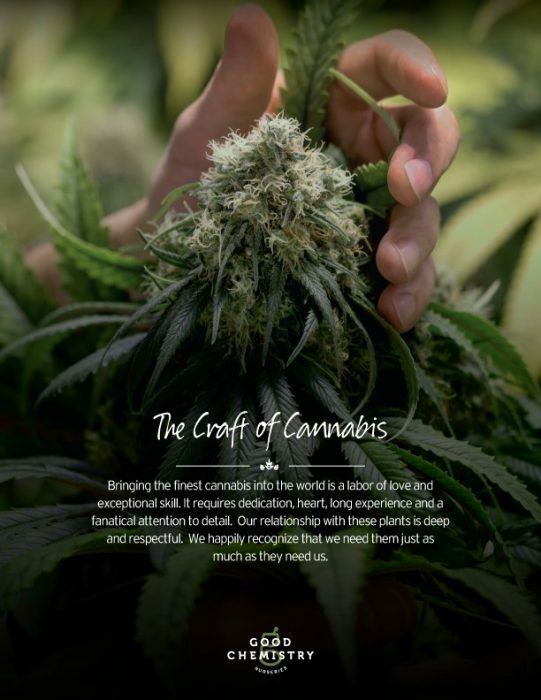 Matthew Huron, Good Chemistry Founder and CEO, is a gardener and master cultivator whose Cannabis career started due to a personal cause. The passion Matthew has for his plants is contagious and everyone in the company has caught it. 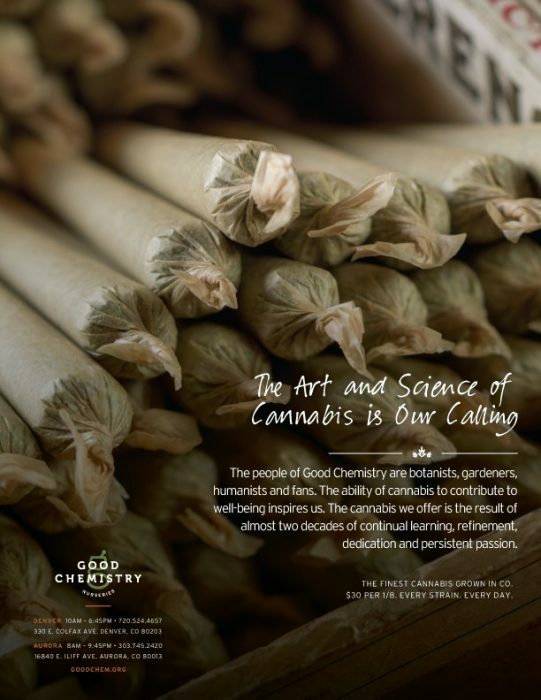 Good Chemistry Nurseries head gardeners share Matthew’s commitment to creating only the highest quality Cannabis, which has led to product and production excellence at Good Chemistry. Chief Production Officer at Good Chemistry Nurseries, Duncan Cameron, has significantly reduced the time to harvest, adding an additional cycle into the calendar year, and he has increased the available gene pool from six to more than 60 strains. Head gardeners, Heath Byington and Scott Toland, treat the garden and the business as if it is their own. They take pride in the plants and the product that goes on the shelves. 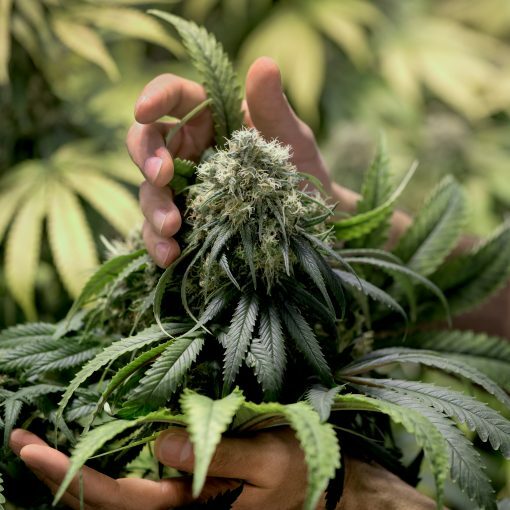 If they come across a plant that does not have the genetic qualities they are looking for, they have no problem getting rid of that plant all together to make sure that the product stays consistent and high quality throughout. Visit either Good Chemistry Nurseries Aurora or Good Chemistry Nurseries Denver to experience the product excellence for yourself. 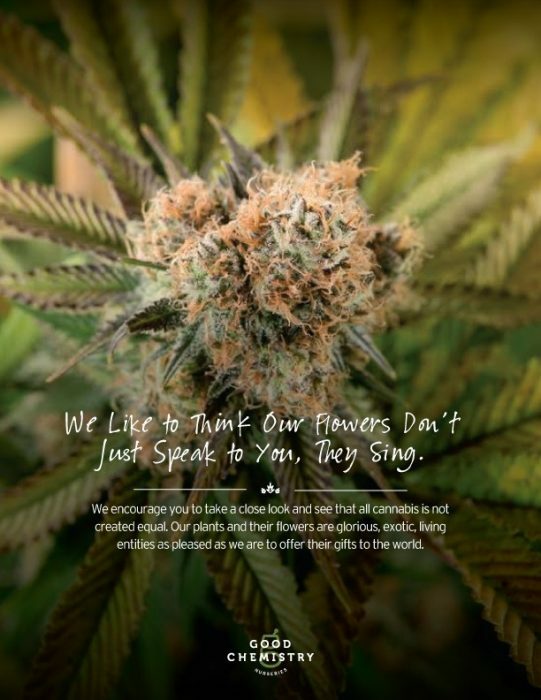 Check out our daily flower menu including the exclusive strains of Ingrid and Mr. Good Chem, as well as the highly acclaimed Sour Diesel, Blue Dream, OGer, Durban Poison, and many others all at $30 per 1/8th. Every strain. Every Day.